In a way (and we accept this with great reluctance) the founding fathers of Pakistan had it right. There is a lot to be said for the creation of a "Medina in South Asia" as the authentic voice of sub-continental Sunni muslims. We have strong reasons to believe that once the memories of the dead and afflicted have faded, the sub-surface links between erstwhile East and West Pakistan will re-assert themselves. It is a shame that the (West) Pakistanis did not really recognize the Bangali muslims as their peers and equals. The gaps are now slowly mending (even as the gap with India and Indians is rising). With the help of imaginative leadership (aided by generous Gulf dollars) a broad coalition of Sunni muslim countries across South Asia (and perhaps even beyond) is possible. If such a federation comes to life, a huge vote of thanks will be due to ...who else...the imperialist United Kingdom (and the West as an extension). The Brown Muslims of London and New York who feel alienated by Western ways and discriminated by Western elites will be the prime movers in any reconciliation, rapprochement and if it comes to that even the hard work of federation building. Already Bangla-Pak alliances are popular in the West...and why not? The BMs are defined (and constrained) by what they are and what they are not...not Indians (but browns), not Arabs (but muslims), not Westerners (but living in the West). While inter-marriage will help, the heavy lifting must be done by powerful, sublime literature that help underline the commonalities between Bangladeshis and Pakistanis and subtly (and not so subtly) highlight the differences with other people. Thus we have "In the Light of What We Know" by Zia Haider Rahman a cultural (and spiritual) sibling of "The Reluctant Fundamentalist" by Mohsin Hamid and one which adds to the growing (and unique) voice of Brown Muslims. May such a thousand flowers bloom. The really interesting thing (for us) is the reaction of Indian Muslims. First off, the non-Sunnis (Shias, Ismailis, Bohras, Ahmadis...) may turn away from emphatic declarations of Sunni faith and due to the lived experience of non-sunni muslims in those countries. Muslims from South India (who are quite prosperous, mostly) may form a distinct cohort which resists assimilation with other Brown Muslims (similar to how Tamil Shudras will always reside outside and in opposition to the Hindu-Hindi majority). The two most "vulnerable" groups are the Muslims of Eastern India (primarily Bengal and Asom) and those of the Hindi belt (primarily Uttar Pradesh and Bihar). As the Hindu-Hindi state grows in strength it is likely that the sense of alienation amongst muslims will keep growing. The eastern muslims are probably the most deprived of the lot (as per the Sachar committee report). The northern muslims are probably the most victimized - Azamgarh in UP is routinely termed in the news media as Atank-garh (terrorist town). At the end of the day partition is as much a state of the land as it is a state of the mind. It will be a very good thing if the Hindu-Hindi state is able to overcome the caste divide that has poisoned our society for thousands of years. But it will be a very bad thing if the result is that the Muslims are defined as the common enemy (just like they are in the west). India cannot realistically hope to expel all muslims to Bangla-Pak. Even in that narrow sense there is no choice then but to co-exist. This is no doubt an asymmetric situation (and Hindutva-vadis are naturally upset) but ultimately the secular way is the moral way. Nations who stand on immorality will never attain their fullest potential. Alternatively, to adopt Amartya Sen's terminology, the contributions from the missing millions of minorities would have been a source of pride and joy...and ultimately strength of any nation. Imagine a book in which a gossipy story about former Pakistan president Pervez Musharraf peeing in a women's washroom and drunkenly pursuing the Norwegian ambassador's wife co-exists with a chance meeting with Hamid Karzai, "at that time a rather shady figure involved in the oil business". Or where a riff on Princeton mathematician Kurt Godel's Incompleteness Theorem is followed by an explanation of German physicist Johann Poggendorff 's Illusion. Or which tells you that kings in Saudi Arabia are buried in unmarked graves in keeping with austere Wahhabism and the question that Charles II asked members of the Royal Society. 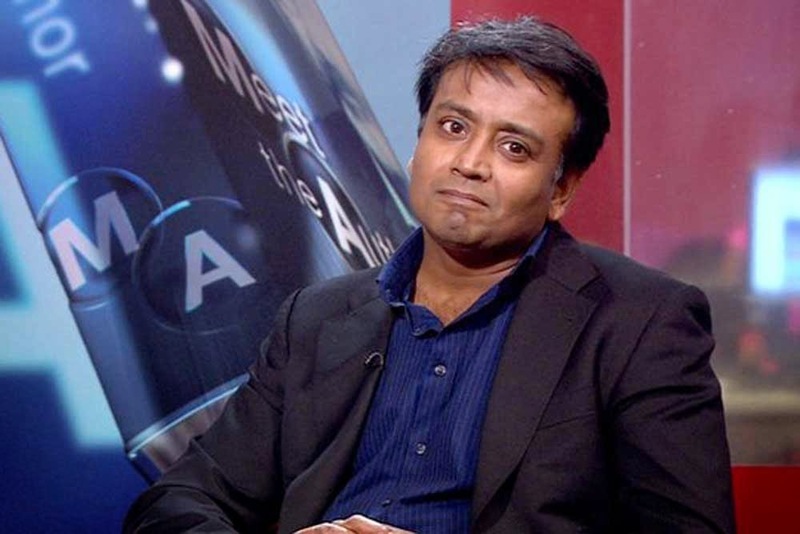 Now don't imagine, read Zia Haider Rahman's extraordinary book, In the Light of What We Know. The banker-turned-human rights lawyer tells the story, over 500 pages, of a conversation that spans the lifetimes of its two protagonists: Zafar and the nameless narrator. The two men meet at university at Oxford and over the course of several years develop a friendship that survives heartbreak, nervous breakdown and cataclysmic world events, the war in Afghanistan and the collapse of the American banking system. It takes them from long walks in Manhattan which sometimes end up in Ellis Island, to ambles in London from the British Museum through the elegant Georgian squares of Bloomsbury. There are more dramatic leaps of time and place: Zafar travels to rural Bangladesh, where his family originally came from before his father found work as a waiter in London; to Oxford, where he fights his own embarrassment about his parents' status in life; to Kabul, where a proud nation is enslaved by the West in what the latter believes is a civilising mission; to a sunlit but sterile kitchen in a New York home, not necessarily in that order. The narrator, in the midst of being accused of financial irregularities, takes time out to listen to a friend he feels he left behind, partly propelled by guilt and partly by the collapse of the certainties of his own life. It is a contrast in privileges: The narrator's own posh, have-it-all Pakistani family compared to Zafar's impoverished Bangladeshi parents unable to overcome the atrocities of the 1971 war. It is no surprise that Rahman's book is earning rave reviews, gathering much acclaim as it sweeps readers off their feet with its scope and sensibility. The writer, who lives in London, and whose life seems a tempting reflection of that of his narrator, has created an extraordinary adventure. It is far away from the colonial narrative of Afghanistan, which makes it a committed political novel if ever there was one. At its heart, it is a post 9/11 novel. which is why one finds occasionally echoes of Mohsin Hamid's The Reluctant Fundamentalist. It is a novel of rare beauty and power that has electrified the literary establishment. It begins in London, about the time of the financial crisis of 2008. The narrator, a young Pakistani mat­hematician-tur­ned-investment banker, opens the door one morning to see a bedraggled, half-­familiar figure outside. It takes a mom­ent for him to recognise Zafar, the Bangladeshi math prodigy and his one-time mentor who had disappeared mysteriously years ago. The narrator takes Zafar in and instals him in his guest room, and Zafar’s strange, disturbing story emerges, thro­ugh conversations and diary pages, its eve­nts cross-cutting between Oxford, Lon­­don, New York, Kabul and Islamabad. In the Light of What We Know is a work of post-9/11 fiction, a territory that has been well covered by writers like Mohsin Hamid and Nadeem Aslam (not to mention Don De Lillo and Martin Amis), but Zia Haider Rahman presents his version of it with a seething new anger. It is a story that mixes the political and the personal—friendship and betrayal, class and alienation, the collapse of financial markets, as well as of nations. Reading the book, one senses resonances of Jos­eph Conrad, V.S. Naipaul, Graham Gre­ene, John Le Carre, but most of all, perhaps, W.G. Sebald, whose novels, like this one, are a hypnotic mixture of travel, memory, fact, quasi-fact and fiction. It is a hugely ambitious work, which could so easily have gone wrong, but Rahman’s towering imagination, combined with his elegant, almost mathematically precise prose, help him pull it off with env­iable ease. The novel ends with a painful twist and a reference to Godel’s Incompleteness Theorem, which seems to be at the heart of it all: in every system there are propositions that are true, but cannot be proved to be true. And then, one final, wry Sebaldian touch: a blurred black-and-white photograph of two men, app­arently Einstein and Godel, taken from behind, as they take one of their long walks through a Princeton evening. Thus, in a sense, we come back to where the author started out, 555 pages earlier. Rahman, the author’s profile tell us, was born into a family of struggling Bangladeshi immigrants (his father was a bus conductor). Putting himself through Oxford, Cambridge, Munich and Yale, he has successively been a mathematician, investment banker and international human rights lawyer. This book clearly owes its authenticity to his own personal story. Reading it, one is often tempted to speculate about which of the two characters derives from Rahman himself. Is it, obviously, the brilliant, born-into-pove­rty Bangladeshi Zafar? Or could it, not-so-obviously, be the aristocratic Pakistani investment banker with no name? As the novel unfolds, one alternately thinks this way and that, until one realises that they are probably both Rahman, in different avatars, as he pours his self into the narrative. (In that blurred black-and-white photograph of Einstein and Godel on their walk through Princeton, after all, you can’t tell which is which).